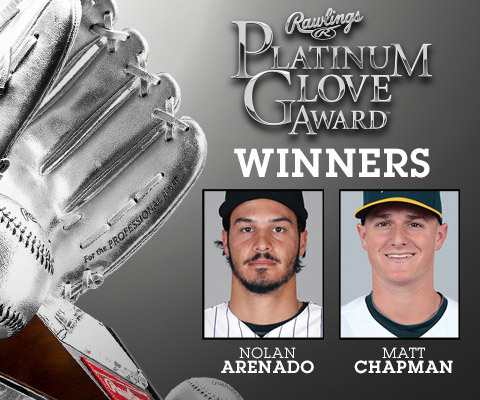 In 2011, Rawlings unveiled the first-ever Rawlings Platinum Glove Award™, a new fan-centric platform asking the game’s avid fans who the best defensive baseball player is among that season's Rawlings Gold Glove Award® winners. To determine the Rawlings Platinum Glove Award winners, fans can only select one player among the Rawlings Gold Glove Award winners from each League. Rawlings Platinum Glove Award voting – and its open and spirited debate on social media – proved what many believed to be true: fans have a very vocal opinion on who they believe is "the best of the best", and they understand the defensive nuances enough to back their favorite player's candidacy from the point-of-view of a scout and an advance analytics sabermetrician. In 2013, a new sabermetric component from the Rawlings Platinum Glove Award's new presenting sponsor, the Society for American Baseball Research (SABR) and its new SABR Defensive Index™ (SDI™) joined the international fan vote to determine the Rawlings Platinum Glove Award winners from each league. The SDI's ability to accurately compare players from different positions helped establish the "science" behind the evolving Award platform.